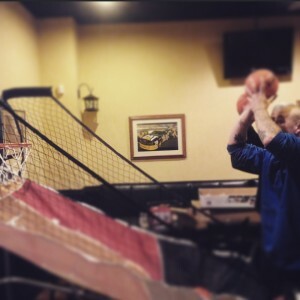 Do you have basketball on your mind, and do you love free pizza? If so, Fox’s is the place to be! Enjoy Fox’s for lunch or dinner, and take a shot at our Fox’s 30″ Big One Pizza Basketball challenge! Now through next Monday, April 6th, purchase your Fox’s favorites and try to set the high score on our basketball game. The person with the top score by the end of the day on April 6th will be the Fox’s champion and receive one FREE 30″, 52 slice Big One pizza! Good luck, and see you soon at Fox’s!